Ever since teasers of the upcoming Cherry Mobile Flare S7 Plus — for all intents and purposes, the company’s next flagship smartphone — first surfaced, many have wondered how much it will sell for. After all, Cherry Mobile has built a reputation as one of the go-to brands for cheap mobile devices, and the Philippines is among the most price-sensitive markets in the world. So, just how much will the Cherry Mobile Flare S7 Plus cost when it hits local stores next month? The answer, as we found out through social media, is said to be P11,999 or roughly $222 when converted to U.S. denomination today. If true, well, it still falls below rival phones with similar specs. But if you ask us, the Flare S7 Plus will be up against an uphill task of competing against global brands like OPPO, Vivo, Huawei, Honor, and Xiaomi at the said price. 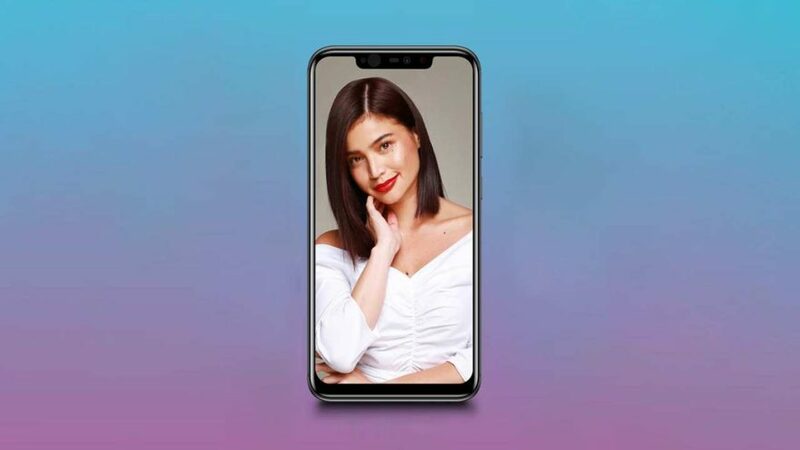 And OPPO sub-brand Realme will enter the Philippine market soon. In an earlier interview with Counterpoint, the research firm told Revü that Cherry Mobile has been struggling to sell devices above the P5,000 ($93) price point of late. It cited intense pricing pressure from Chinese companies as the biggest reason it’s failing to gain traction in more lucrative smartphone segments. It said it’s a good thing Cherry Mobile is strong in places in the provinces not penetrated by other value-for-money brands. Curiously, the Flare S7 Plus will retail for more than twice Cherry Mobile’s pricing sweet spot. It’s also just a couple of thousands cheaper than popular options such as the Xiaomi Mi A2 priced at P13,990 ($259) in the Philippines. 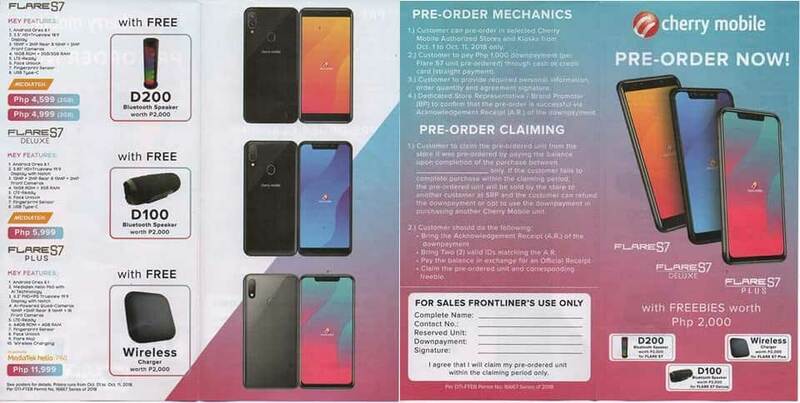 But in fairness to Cherry Mobile, it will also throw in a free wireless charger (yes, the Flare S7 Plus supports wireless charging) to sweeten the deal for customers who pre-order the phone with a P1,000 or $19 down payment. The phone itself has some good specs, too: 6.2-inch notched LCD screen; MediaTek Helio P60 with 4GB RAM and 64GB storage; 16- and 5-megapixel rear cameras; 16-megapixel front camera that can do face unlock with the help of an infrared sensor; and fast-charging 3,050mAh battery that charges over a USB-C port. The Cherry Mobile Flare S7 Plus will officially launch in its native country on October 12, alongside the Cherry Mobile Flare S7 and Flare S7 Deluxe budget phones.